← Yep, They Sure Did!! Home » Uncategorized » A Solution to Our “Canada Geese” Problem! 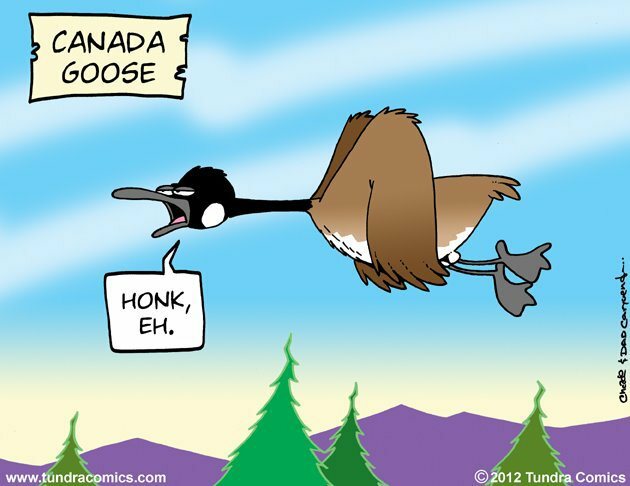 A Solution to Our “Canada Geese” Problem! One of the sure signs that Spring is upon us is the same message from the local TV channels that we get every year about this time. 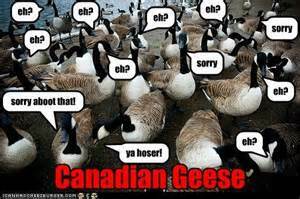 We have a Canada Goose problem! It’s not that we have too few, we’ve got too many! They’re everywhere! On the streets, in the parks, ponds, lakes, you name it! Canada Geese should be renamed Colorado Geese or better yet, Denver Geese, because they’ve been here for so long, they’ve completely forgotten where they came from and why not? 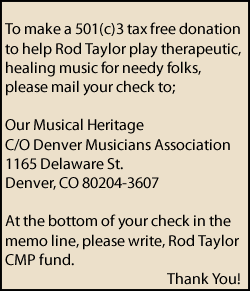 Denver’s a wonderful city. The climate is nice! The people are fantastic! The food is good and we’ve got great grass! The ambiance is great, plenty of recreation with golf and parklike settings for dining, nesting and pooping etc. It’s obvious that none of the “bird control” solutions we’ve tried has worked. We’ve tried noise and they just joined in! We’ve tried robots and the geese run circles around them. Dogs are OK but the geese just take off and land a few yards down the street and the dogs get tired. The city has spent thousands of dollars on solutions with little or no luck so I’m going to throw my hat in the ring to solve this problem and a few more at the same time. Not only do we have a Canada Goose problem but like every other large city, we also have a “homeless person” problem. So, after a little thought I’ve come up with a way that one just might be able to solve the other. Just as they do in South Louisiana with the Alligator population, the city of Denver could offer “tags” for the kill or capture of Canada Geese. They would offer a hundred or so of these tags to each homeless person with the proviso that you have to cook and make use of what you kill so nothing gets wasted. Take the money you were going to spend on pest (goose) control and pay it out to the homeless so that each catch nets them a few bucks every time they bring one in. Now, the homeless folks have a job! Bird pest control is eliminated, and the residents can have their parks back! Also, if the homeless folks pick up the doo doo and bag it, they can sell that back to the city as natures fertilizer so that plants will grow and the parks and public golf courses are doo doo free again! 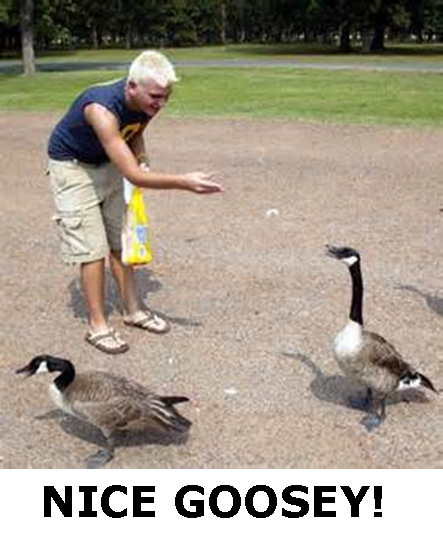 Soon, every night at dinner time, the neighborhoods would be filled with the wonderful aroma of Bar-Ba-Goose! That smell would be coming from every soup kitchen and on every street corner in town! Rather than folks on the corner with little signs asking for money, there’d be folks on every corner with little signs offering ‘Bar-Ba-Goose’ wings .50 cents etc! Drumsticks would be $2.50 and so on. For the extra thrifty, you might have Goosenecks .25 cents ea! 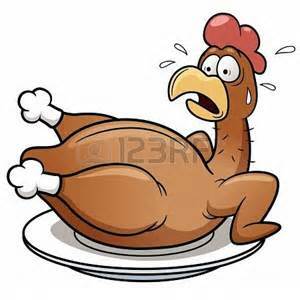 Remember, these are free range BRE’s (birds ready to eat!) No GMO’s and No added preservatives, quality A-#1! Bar-Ba-Goose would be everywhere! On top of that, we could turn the soup kitchens into clothing factories, pluck the feathers off those birds and now that it’s legal to grow hemp again, make wonderful ski jackets and recreation wear direct from Colorado, the World Capitol of Outdoor Recreation! Made from hemp cloth and stuffed with goose down! The possibilities are endless! Remember folks, you heard it h ere first! Think about it! You’re eliminating joblessness, feeding the homeless, cleaning up the parks and getting rid of the geese problem all at the same time! Best of all, it didn’t cost the taxpayers a dime! You got your parks back, you fed the homeless, created an industry and eliminated a problem! Now all you need is some politician barging in to tell you what is wrong with this idea and how your government stands ready to improve on it! Send me your critiques and comments. I’ll read them all and use them when I can.